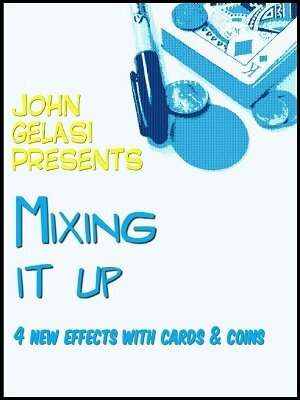 Four new effects using cards and coins. Meet Chip: A fun, easy, and commercial routine with a signed poker chip. A Chance Meeting: It's gambler vs. mentalist vs. magician time - hold on to your hats, people. 25 Cents: You predict a randomly chosen coin; simple but effective coin magic to liven up any card act. Includes a great variation by John Carey! It's Still a Mystery: My short, snappy approach to the mystery card plot, inspired by Paul Gordon and John Carey.